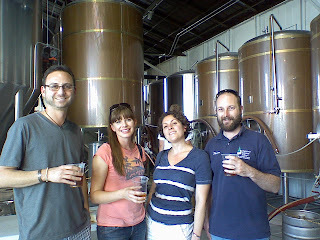 Hangar 24 Brewery has lots of starter feel, in a great way! I've now had all of their beers and am quite impressed. They have lots of potential! Here's Andrew, Sarah, Dana, and I. Sent from my mobile phone.